The Large Hadron Collider has just set another record by smashing together lead-ions at 1,045 trillion electron-volts – two times higher than any previous experiment – and reaching a temperature of several trillion degrees. 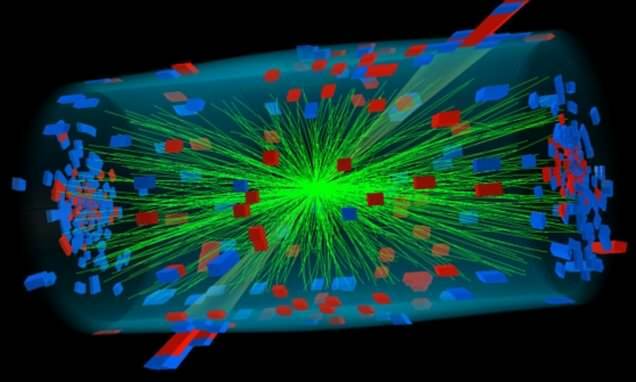 “It’s a tradition to collide ions over one month every year as part of our diverse research programme at the LHC..This year however is special as we reach a new energy and will explore matter at an even earlier stage of our universe. At the beginning of life in the universe, matter existed as an extremely hot, dense medium. The soup-like medium was composed mainly of quarks and gluons, which now work together to form protons and neutrons,” said CERN Director-General Rolf Heur. Continue reading for another video and more information. “By increasing the energy of lead-ion collisions, the LHC increased the volume and temperature of the soupy matter, quark and gluon plasma. Study of this material could provides scientists with a new understanding of how life began. 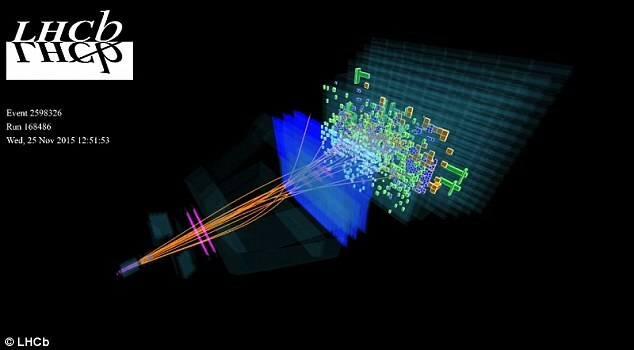 Further collisions will be recorded by LHCb, and data will be collected from four large LHC experiments,” reports Mail Online.